Right folks, it’s time to pop open a bottle of bubbly! 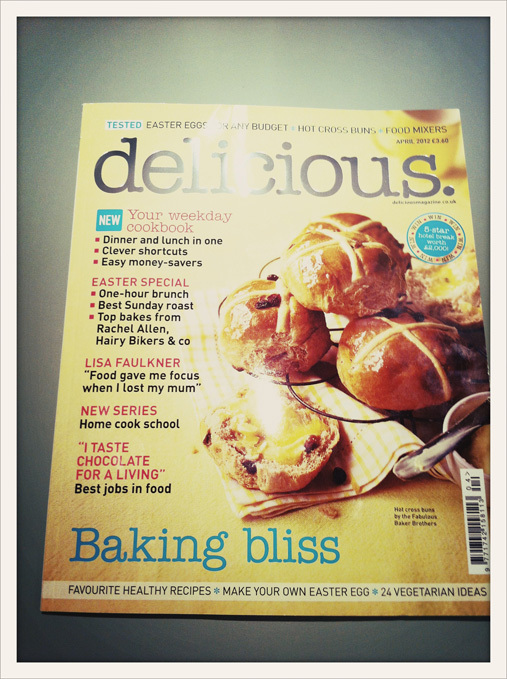 Anne’s Kitchen has been given the seal of approval by my favourite food magazine: Delicious Magazine. Each month, this fantastic UK food magazine picks out one food blog it loves, and gives it the “Blog We Love” label. 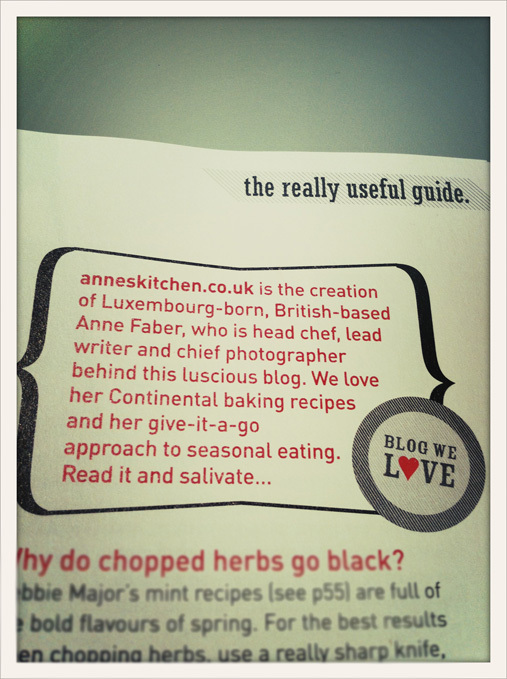 And, amazingly, Anneskitchen.co.uk is their pick for the April 2012 edition! You can’t believe how surprised I was! The funny part is that I hadn’t actually seen it myself. When my copy of Delicious arrived in the post a few days ago, I put it aside to read over the weekend (so as to not distract myself from actual work during the week, and so that I’d have a food magazine to look forward to reading over the weekend). But, somehow I didn’t actually get around to reading it this weekend… Instead, I ended up finding out the news via a friend, who texted me to congratulate me on my mention in Delicious Magazine. I was like “what is she on about?”, so I immediately grabbed my copy of the mag and flicked through it, and *wham*, indeed, there it was! Anne’s Kitchen on page 117!!! Woop Woop. So, it’s a day of celebration in Anne’s Kitchen today! Come join me for a glass of bubbly! Wow, that’s amazing and quite an achievement! Congratulations!